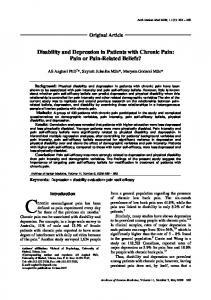 Disability and Depression in Patients with Chronic Pain: Pain or Pain-Related Beliefs? Introduction to pain and disability in the medico-legal setting This third article is intended to explain in a little more detail the complexities involved in identifying, diagnosing and providing a prognosis and treatment recommendations for the cause of a person’s pain in the medico-legal setting. After an injury, it is not surprising that you may feel pain. It is the body’s way of letting you know that something has gone wrong and attention needs to be paid to the injured part of the body. Pain usually gets better but studies tell us that after an injury a significant minority of individuals are left with persistent pain, which is often associated with long-term restriction in their capabilities at home and work. Those unfortunate individuals are suffering from ‘chronic pain’. The purpose of pain: differences between acute and chronic pain To understand pain one needs to understand some basic ideas about pain. ‘Acute pain’ is protective. It stops you from keeping your finger in the fire and seriously burning it, or helps you discover the nail protruding into your foot from your shoe. When you discover and treat the cause of the problem, it usually rapidly stops, or if not straight away then this happens when tissue healing has occurred – for example, when the burn has healed. Once pain becomes ‘chronic’, it loses its warning ability and its ongoing presence does not mean you are suffering ongoing tissue damage, but it can feel just as bad. Taking the example above, it still may feel like the skin is burning even though the injury was months ago and the skin healed. Very approximately about 1 in every 10 people who have marked pain after an injury will continue to experience ongoing significant symptoms at about two years (and even longer) after the injury. The fact that 90% of people will improve and get better over time is one reason why it is often difficult to identify which individuals are developing chronic pain and to target appropriate treatment towards them. It is often only when it is clear that you are not going to get better by yourself that you may be referred to pain clinic. Similarly, if you have been complaining of ongoing pain after an accident, a pain consultant may eventually be appointed as an expert to advise the court on the type, severity and duration of your pain. However, because 90% of individuals will stop suffering pain as their injury heals, in almost every case, the first report obtained in the litigation is usually from a GP (in a case which appears straightforward, such as a modest ‘whiplash’) or an orthopaedic expert (in a more serious case, perhaps involving a fracture). Pain consultants are, therefore, typically only brought into ‘cases’ later on, usually because the experts (and/or treating doctors) cannot explain your continuing pain from the perspective of their expertise. Different sorts of pain and diagnosis – a pain medicine consultant’s perspective There are different types of pain which depend, in general, on the structures that have been damaged. These different pains may feel different, and may respond differently to various types of treatment, so it is important to understand the type of pain that someone is suffering from. It is also important, for the same reason, for you to try to describe the pain you are experiencing very carefully indeed, so that your treating doctor, or expert in a case, understands exactly what your pain feels like. Below we describe some of the different types of pain. In real life, things are not as clear-cut, and individuals can suffer different sorts of pain, either in the same part of the body or different parts of the body. Myofascial pain The term ‘myofascial pain’ means that the pain ‘comes from’ ‘soft tissues’ (quite often in/around the neck or back), where there has been a trauma (such as road traffic collision). The pain in the area is often described as aching, dull and throbbing and is often made worse by exercise and cold weather. As in other cases of chronic pain the original injury may be quite long ago. The pain can ‘spread’ or be ‘referred’ to other areas of the body other than the site of the original injury. Neuropathic pain This term is often used when there has been a specific nerve injury. However, neuropathic pain can also be present even if no major nerve injury is identified, because it can be generated by large numbers of tiny nerves as well. Neuropathic pain is often described as shooting and sharp. The surface of the skin is often very sensitive to light touch (known by doctors as allodynia). Typically, if a nerve to an area is damaged then the pain is felt in the extremity (i.e. the end of the limb furthest from the body), even if the nerve damage is more central. So trapping a nerve in your neck or your back in your spine might actually be associated with pain in your hand (which can be a result of a nerve trapped in the neck) or your foot (which can be a result of a nerve trapped in the back). In these examples, you would feel high levels of pain in the hand or foot, without either being injured themselves, and one can understand why it is the neck or back which requires treating rather than the hand or foot itself. Complex regional pain syndrome (CRPS) is an unusual, poorly understood condition affecting limbs. It can – but need not – be associated with major nerve injury. As well as sharp shooting pains there may be burning and, characteristically, there can be other changes affecting the limb. For example, the skin temperature may change, the affected part may sweat more, there may be colour changes, the texture of the skin and nails may also change, and in a small area bones may for a while become slightly brittle. Patients who have this condition often do not want to move the affected limb. In many cases the condition is mild, and improves, but it can also be severe and in rare cases it can spread to other limbs. CRPS is a generally uncommon condition, occurring more frequently in women than men, and often very unpredictable. Unlike the other pain syndromes mentioned above, there does not seem to be much of a relationship between the degree of injury and the onset and severity of CRPS – it can occur even after a surprisingly trivial injury. The triggering mechanism is not understood and, while the Internet is filled with horrendous cases (which are difficult to verify), it is important to note that the majority of cases are mild and get better with time (although they may require a significant amount of physical therapy and analgesia). CRPS was previously known by number of other names, including ‘reflex sympathetic dystrophy’ (RSD) and causalgia. 6 Affecting 2–8% of the population according to estimates from JAMA 2014;311(15):1547–55. The diagnosis of fibromyalgia is often characterised by a number of ‘tender points’ over the body in specific sites, but it is now being increasingly recognised in a more general and, indeed, more frequently occurring form it is known as a ‘chronic widespread pain syndrome’. There is increasing evidence that in all such patients the pain control systems within the body have reduced in effectiveness so that the patient experiences higher levels of pain. Often, it does seem that those patients whose pain becomes more widespread are suffering from depression as well, and there is some suggestion that the same problems of the nervous system that lead to widespread pain also lead to depression. There seems to be a close linkage between fibromyalgia and depression. In one sense, this may not be surprising as widespread pain/fibromyalgia and depression may be two sides of the same coin – the physical and psychological manifestation of the same underlying process. Alternatively, of course many patients will become frustrated, down and depressed because of the things they cannot do anymore when they have chronic pain. From the point of view of litigation, you will no doubt appreciate from the short description above that there is likely to be a very wide range of opinion among doctors of the same expertise, let alone between doctors in different fields, about almost all of the aspects of fibromyalgia which impact upon personal injury claims. Chronic pain syndrome Sometimes, especially in the context of litigation, doctors and lawyers use labels to describe ‘conditions’ which, without being precise or specific, nonetheless seem to ‘fit best’ and which help to explain their opinion to the court. ‘Chronic pain syndrome’ is just such an example, although it is unlikely to be the label you would be given by your treating doctor – as it is not widely used in clinical practice (i.e. treating practice outside litigation). However, because it is being used widely in medico-legal practice, we will discuss it here. It is most often used to describe a person who develops a great deal more disability (and pain) than one would have expected from the initial injury, and is more common in those people who have a past history of depression or other psychological or psychiatric problems and/or who develop psychological problems as a result of the accident or injury in question. Of course, the very fact that litigation is ongoing is also a constant reminder of the pain and disability (and worry that it may continue after the case has finished), which may well also contribute to the overall syndrome in some cases. Thus, the cause of a chronic pain syndrome may be what is known as ‘multifactorial’, which means that a number of factors are probably contributing to the overall experience of pain. These may include pre-accident physical or psychological problems, which is why it is often very difficult to identify for the court the extent to which the accident itself ‘caused’ the suffering and restrictions the individual is suffering. Fortunately, these types of issues can be addressed by both treatment of the underlying pain (for example, with analgesics), the treatment of depression or 7 suchlike with talking therapies and drugs, and also behavioural techniques that are often found on pain management programmes (such as coping and pacing strategies, and encouraging one to ignore the pain and to develop a more fulfilling lifestyle within the confines of the injury and pain). Different sorts of pain and diagnosis – a psychiatrist’s perspective Pain driving depression As we have seen, pain and depression often are intimately linked. Severe pain can naturally make one feel down, and if the pain persists for a significant length of time then this may well give rise to clinical depression. Some studies suggest up to 60% of people with chronic pain will develop symptoms of depression. As can be seen below, this can cause vicious cycles where the presence of depression leads to greater perception of pain, the greater pain symptoms lead to deeper depression, and in this way the cycle repeats. Depression and anxiety driving pain Although we have seen that pain can cause a lowering of mood, it is also true that this interaction can work the other way: low mood can heighten pain symptoms. Studies have shown that completely healthy volunteers (i.e. ‘normal controls’) who have had 8 their mood temporarily made more gloomy in experimental conditions perceive identical pain sensations as being more severe than volunteers listening to more upbeat music. Perhaps, then, because of the overlap between mood and pain areas in the brain (as we saw earlier), a depressed mood can enhance the perception of pain. Overall, what unfortunately often happens in chronic pain situations is that vicious cycles between pain and low mood arise, causing increasing levels of disability and frustration. Post-traumatic stress disorder Post-traumatic stress disorder (PTSD) is a serious condition where, following exposure to a traumatic incident, a person continues to experience distressing symptoms that, at their core, involve the re-experiencing of the traumatic event in the form of distressing memories (also known as ‘flashbacks’) and/or distressing vivid 9 dreams. PTSD can occur following any event that is experienced as psychologically stressful and traumatic (such as a severe accident or assault). Flashbacks are often triggered by exposure to situations relating to the incident (e.g. revisiting the stretch of road where an accident took place). The sufferer will often avoid circumstances relating to the incident, due to the distress and anxiety caused. Additional symptoms can typically include being ‘on edge’ and excessively vigilant to danger, emotionally numb, irritable, having difficulty sleeping and impaired concentration. Whether a person develops PTSD may be (but is not necessarily) related to that person’s underlying vulnerability to stress. The development of PTSD following an accident will add significantly to the loss of quality of life experienced following the accident and to the treatment needs of the victim. As with the development of depression following an accident, the development of PTSD is also associated with an increased risk of developing a chronic pain disorder (see below). Some different psychiatric pain diagnoses Some diagnoses, such as depression, are ‘purely’ psychological/psychiatric (albeit that depression is often closely intertwined with pain symptoms). Other diagnoses offer a psychiatric perspective on the cause of the pain symptoms – and in these cases the psychiatrist will often use different diagnoses from the pain medicine doctors. What is important to remember is that while different words may be used, they are not necessarily contradictory – and the fact that there are different diagnoses made by doctors of differing disciplines does not mean one of them has got the diagnosis wrong. Rather, it highlights the fact that both psychological and physical factors are important. A few examples of such diagnoses are given below. Pain disorder (or its equivalent) Pain disorder is also sometimes referred to by names, which have more daunting and 10 unusual labels. For our purposes, the important point is that a chronic pain disorder is one in which the duration of pain exceeds six months. In general terms, pain disorder emphasises that psychological factors are judged to have contributed significantly to the pain presentation (having an important role in the onset, severity or continuation of the pain). A particular example of a pain disorder, called somatic symptom disorder emphasises the presence of excessive thoughts, feelings (i.e. anxiety) or behaviours related to the pain, and another, 11 termed somatoform pain disorder emphasises that the pain occurs in association with emotional conflicts or other psychosocial problems which serve to drive the pain. Somatisation disorder This rare disorder involves a history of many physical complaints (including pain) occurring over several years, and beginning before the age of 30. Complaints must have included pain symptoms in several different sites, gastrointestinal and sexual symptoms other than pain and complaints resembling neurological symptoms. The complaints, after appropriate investigation, are not fully explained by a known nonpsychiatric medical condition or are in excess of (or give rise to impairment, such as in the person’s level of occupational or social functioning) in excess of that which would be expected. Such as ‘somatoform pain disorder’, ‘psychogenic pain disorder’. The same condition has also recently been described as somatic symptom disorder or psychological factors affecting other medical conditions. Don’t worry about the labels used, as what matters is what the labels mean. 11 ‘Somatic’ means ‘relating to the body’ – from the Greek ‘soma’ (body). This even rarer disorder involves motor symptoms (e.g. weakness) or sensory symptoms (such as the experience of pain) that would ordinarily suggest a neurological or other physical condition. Where appropriate investigations cannot fully explain the symptoms by a known non-psychiatric medical condition, and where the symptoms are preceded by psychological stressors such as traumatic experiences (e.g. an accident or assault), emotional conflicts or other stressful experiences, those psychological factors are sometimes associated with the onset of the symptoms. In other words, the psychological trauma is somehow expressed as (or subconsciously ‘converted’ to) the physical symptoms – and psychologists suggest that this may serve as a psychologically protective mechanism, allowing the person to avoid having to confront traumatic experiences such as childhood abuse or a terrifying accident. In its ‘purest’ forms, of dramatic physical presentations being entirely caused by psychological processes, this a very rare condition – however, the psychological process of conversion (i.e. psychological stresses causing physical symptoms) can be a contributing factor in particularly complex cases of chronic pain presentations. The importance of the psychiatric opinion – for both the court and your treatment As you can see, being asked to be assessed by a psychiatrist is often an essential part of assessing the origin, nature and treatment of pain. The fact that you seek a psychiatric opinion does not mean that anyone considers that the pain is ‘all in your mind’ or that you are ‘bonkers’. The simple fact is that where psychological factors and physical factors are both contributing to your pain condition, it is important for both to be assessed in order for the court (and for you) to understand what it is, how to treat it and (as far as anyone can predict) what the future holds. Proper assessment of both is required in order to plan treatment, and any treatment plan that does not address the psychiatric aspects in addition to the physical aspects has a far higher risk of failure. 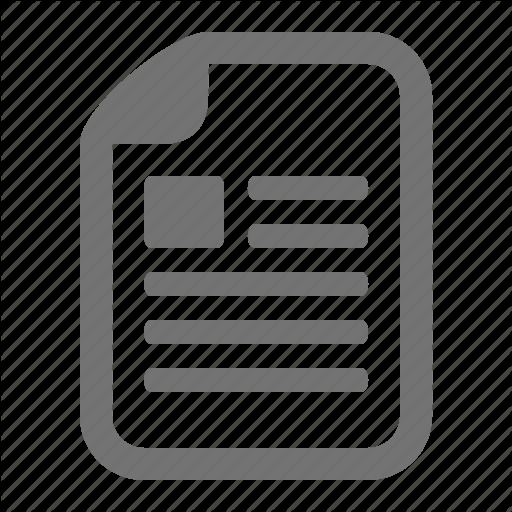 Intellectual property & copyright statement We as the authors of this article retain intellectual property right on the content of this article. We as the authors of this article assert and retain legal responsibility for this article. We fully absolve the editors and company of JoOPM of any legal responsibility from the publication of our article on their website. Copyright 2014. This is an open-access article distributed under the terms of the Creative Commons Attribution Licence, which permits unrestricted use, distribution and reproduction in any medium, provided the original work is properly cited. Also referred to as functional neurological symptom disorder. Report "Compensation Claims Relating to Chronic Pain. 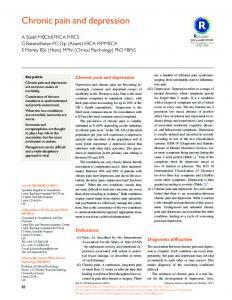 Part Three: Pain Syndromes and Disorders in the Medico-legal Setting"